With seven professional schools and a College of Arts and Sciences, High Point University offers 58 majors and 57 minors designed to prepare students for success in graduate study, a professional school, or a career. I invite you to explore our distinguished academic programs. 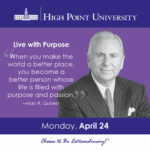 High Point University was founded as a liberal arts college, and continues its founding commitment to a philosophy of education that empowers individuals with broad knowledge and transferable skills, and that cultivates social responsibility in the context of well understood ethics and values. 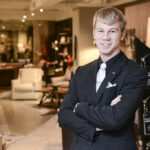 At HPU, your educational program offers much more than just career preparation. Through your major and the general education program, you will develop skills and dispositions that will make your professional, civic, and personal life both rewarding and meaningful. You will learn how to analyze the world around you from different perspectives, how to express yourself with precision and clarity, and how to solve real-world problems. You will understand yourself and your place in the world more deeply, and embrace your responsibility as an educated person to try to make the world a better place. And you will know yourself—your motivations, beliefs, passions, and commitments—better than ever before. These benefits will not only enrich your life, they will also better prepare you for success after you graduate. Increasingly, employers say that broad knowledge, excellent communication skills, strong ethics, and imagination and creativity are more important to success in the workplace than industry-specific training. For more information on how the liberal arts shape students’ lives at High Point University, visit Experience the Liberal Arts. 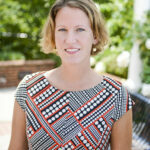 I invite you to learn more about the recent accomplishments of faculty in The Lighted Lamp.